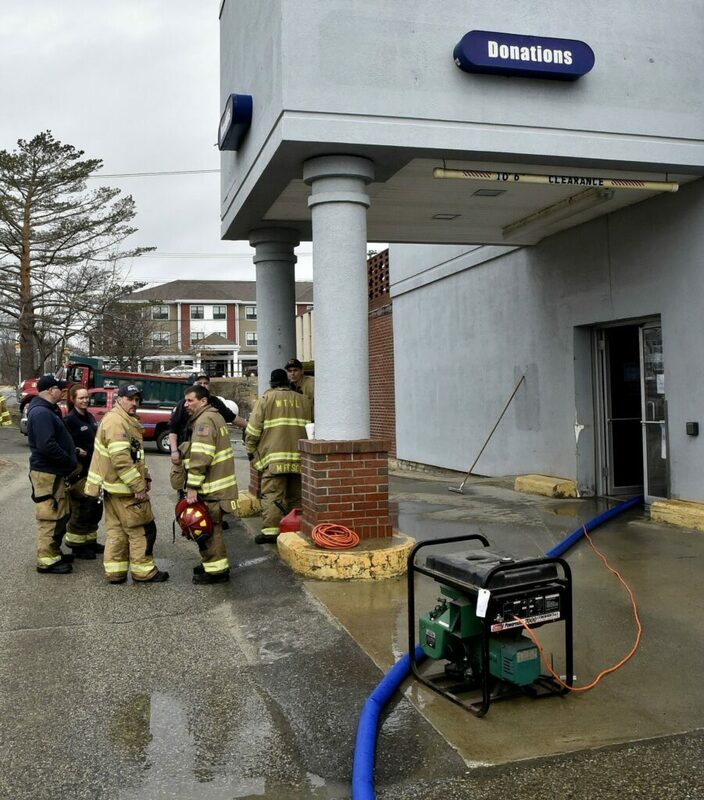 Waterville firefighters stand outside the drop-off area of Goodwill store in the Concourse in Waterville after setting up a pump to empty water that filled the basement from a water main broke and flooded the area behind the businesses on Sunday. 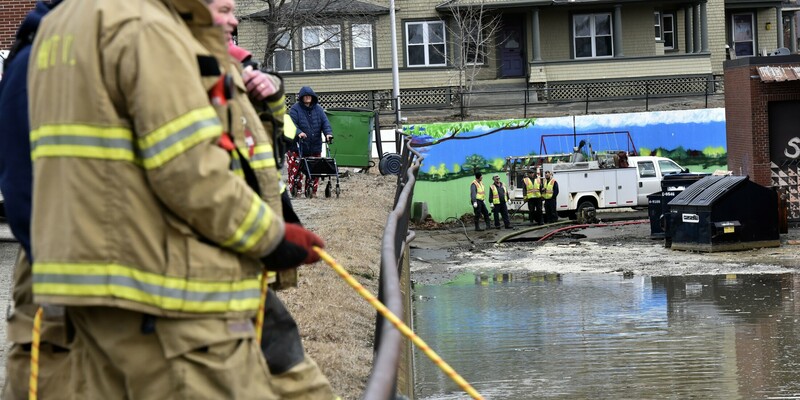 Waterville Fire Captain Drew Corey wore a dry suit and searched the water for plugged drains after a 12-inch water main broke and flooded the parking lot and businesses behind Goodwill in the Concourse in Waterville on Sunday. 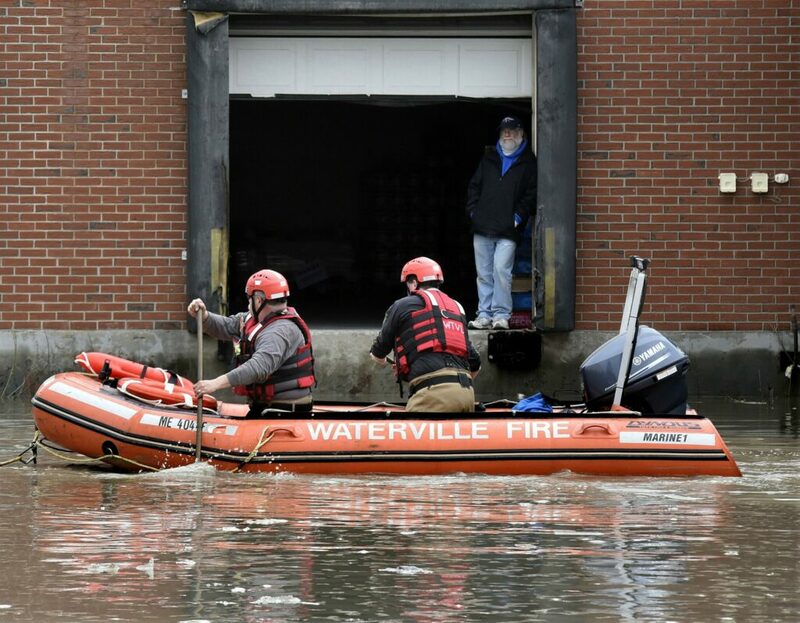 A man watches from a delivery door of the Save-A-Lot store as Waterville firefighters search for plugged drains after a 12-inch water main broke and flooded the parking lot and businesses behind Goodwill in the Concourse in Waterville on Sunday. 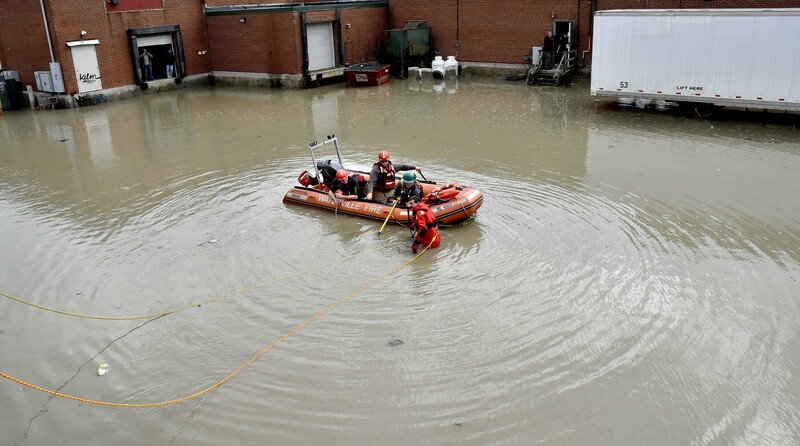 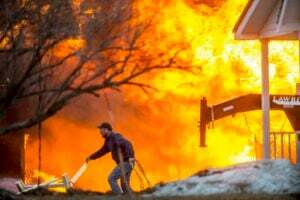 Waterville firefighters maneuver a boat to another set of large propane tanks after turning off the ones in background after a 12-inch water main broke and flooded the parking lot and businesses behind Goodwill in the Concourse in Waterville on Sunday. 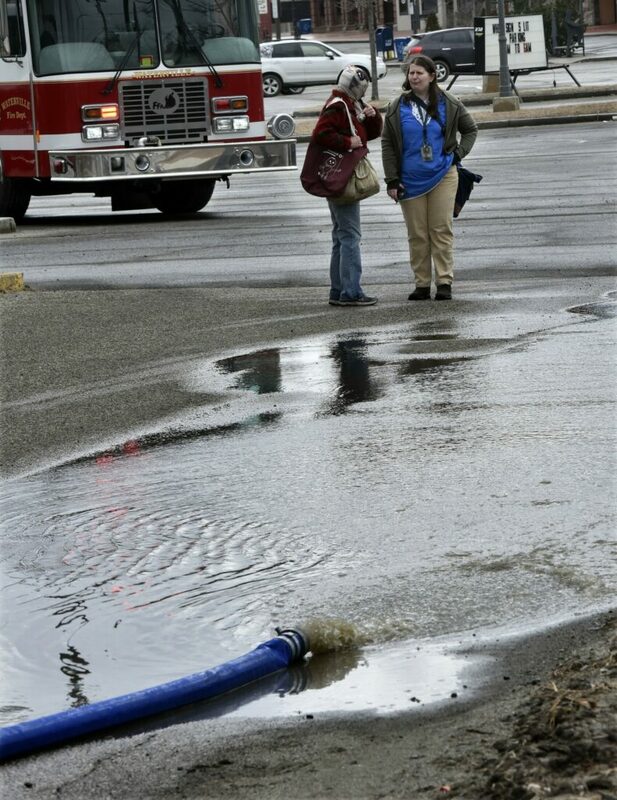 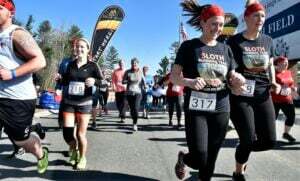 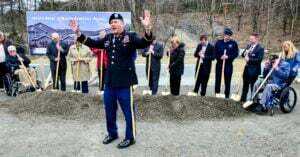 Employees with the Kennebec Water District, background, work around a large sinkhole created after a 12-inch water main broke and flooded the parking lot and businesses behind Goodwill in the Concourse in Waterville on Sunday. 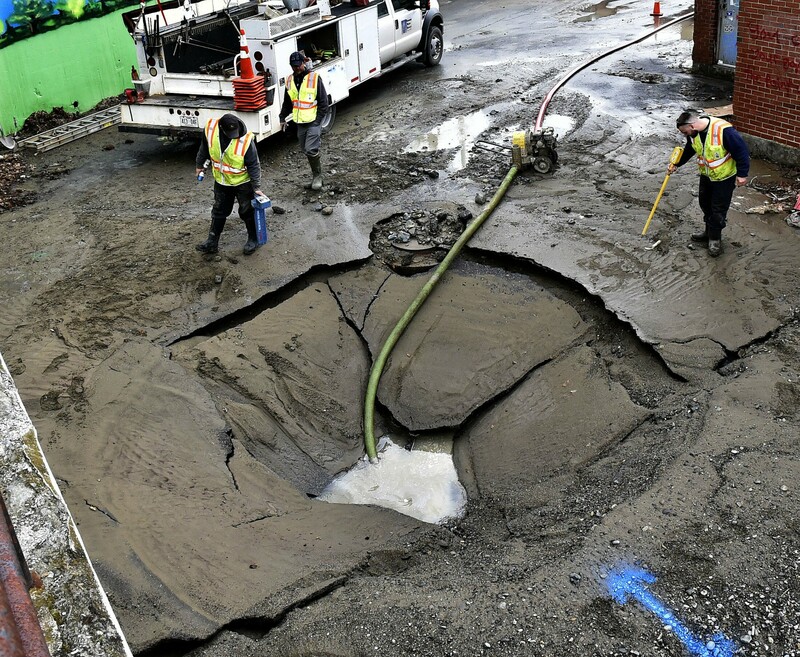 Employees with the Kennebec Water District work around a large sinkhole created after a 12-inch water main broke and flooded the parking lot and businesses behind Goodwill in the Concourse in Waterville on Sunday.